Organic mulch will need to be replaced as it decomposes, but it’s a relatively small price to pay for the beauty and benefits it provides. 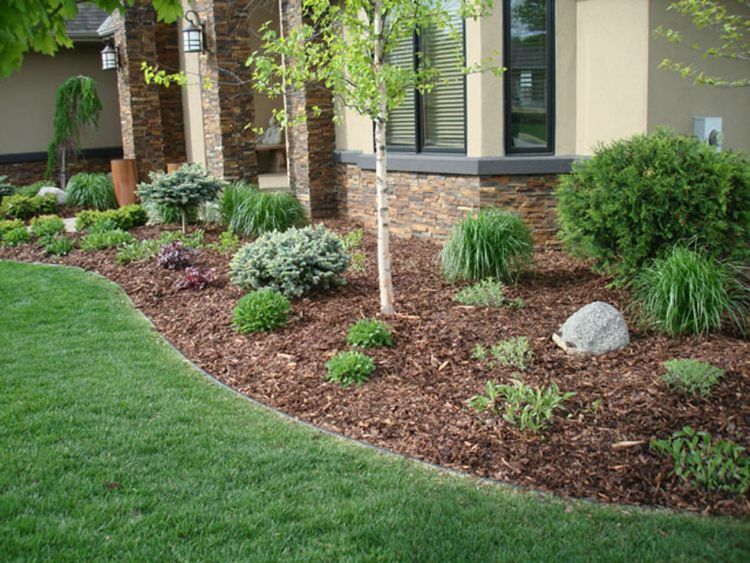 Here are six steps to follow so you get the maximum advantages from your mulching efforts. 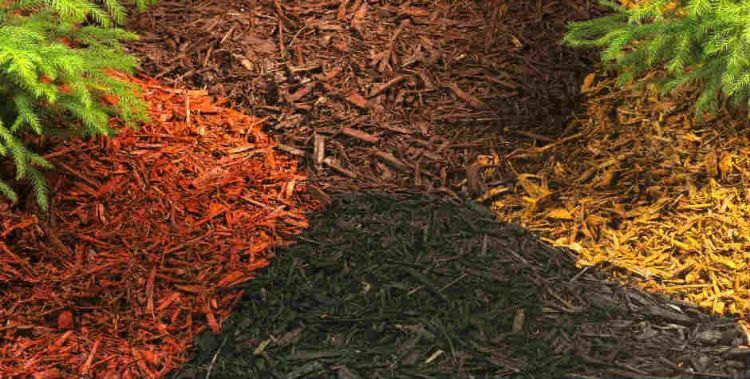 The mulch you use will depend on your climate, but your best options are shredded hardwood, wood chips, and pine straw for both beauty and benefits. Some gardeners prefer grass clippings or composted manure, but keep in mind that they may contain weed seeds, the very thing you're trying to prevent! Your first move is to go throughout the bed and remove any twigs, leaves, dead plants, or any trash that has blown in and accumulated over the winter. This is an operation that is often skipped, but it's much too important to disregard. 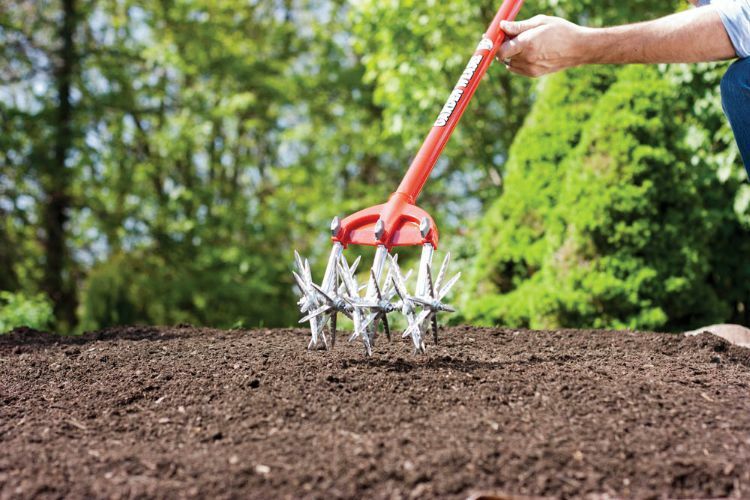 Turn over your old mulch using a garden weasel (pictured below) or rake. Old mulch gets matted down and creates a barrier for water that's needed in the plants' roots. Break it up so it becomes permeable. Don't spread mulch any more than 2 to 3 inches thick. Anything thicker could cause problems with fungus and pests. It could even kill your plants. It's also a waste of money and energy! 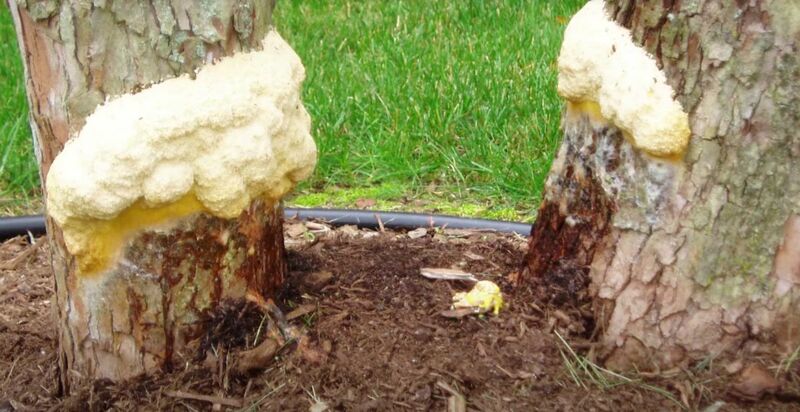 Don't mound mulch at the base of your trees. Water runs off the sides of the mulch and can deprive it of water. It also invites disease (see the opening photo) and rodents. 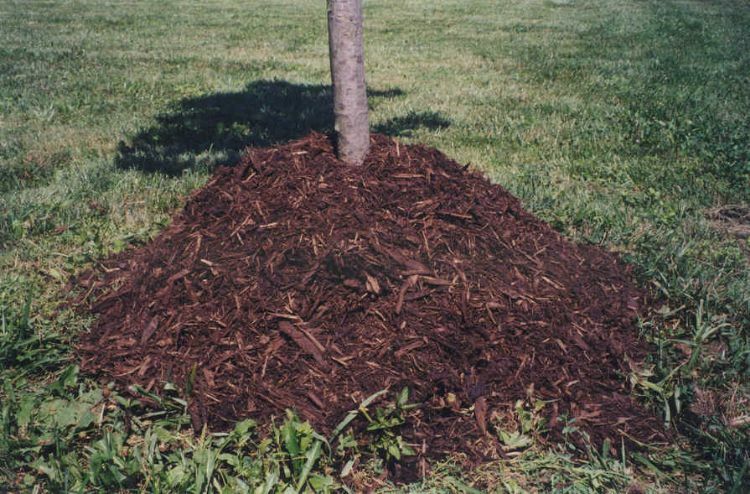 Instead, taper the mulch down toward the base of the tree. For extra weed control, apply a pre-emergent herbicide to the mulch. These herbicides create a half-inch barrier in the soil that prevents the germination of weed seeds. However, they don't kill existing weeds or plants.